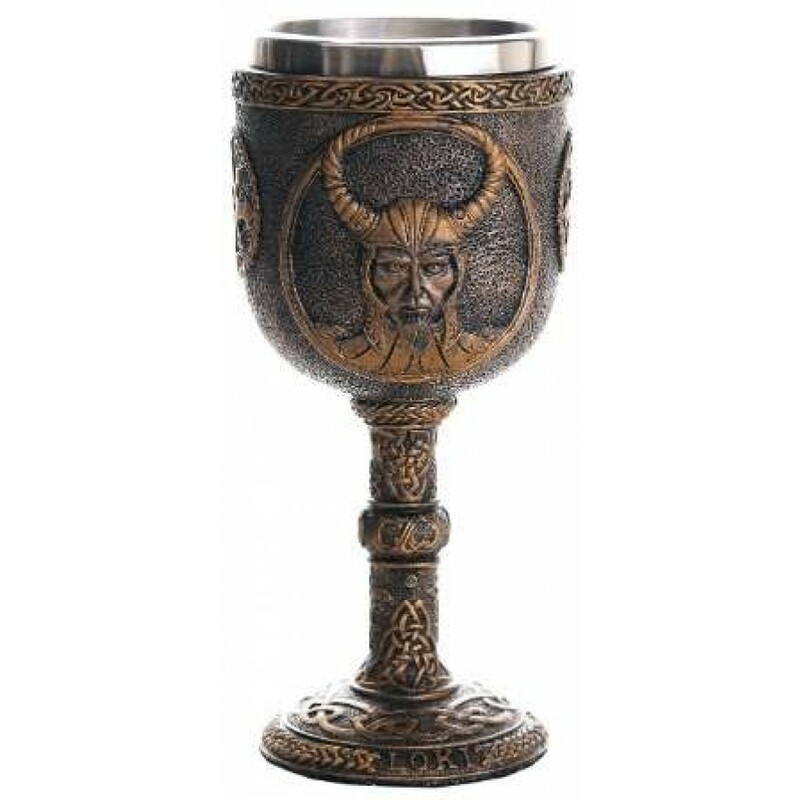 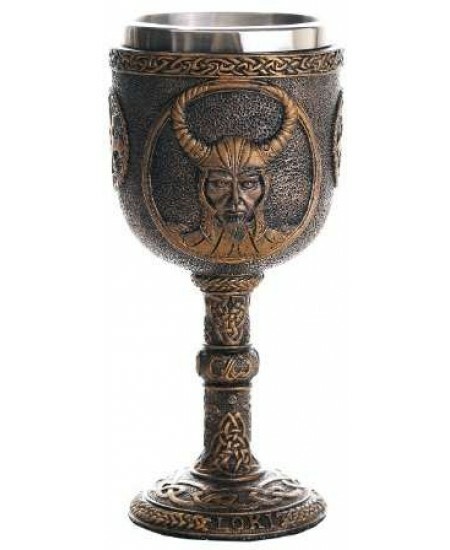 Beautifully detailed Loki goblet has Loki the Norse God and knotwork motifs. Finely detailed cold cast resin goblet is about 7 inches tall with removable stainless steel cup for easy cleaning. Item Number: PT-11874 | Approximate Size (Inches): 3.75 wide x 3.75 deep x 6.75 high | Approximate Shipping Weight: 1.00 lbs.